Volkswagen and Ford are forming a global alliance to develop commercial vans and medium-sized pickups together while exploring broader co-operation on future battery-powered and autonomous vehicles and services. 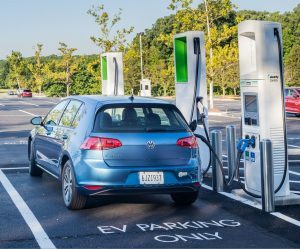 Volkswagen CEO Herbert Diess and Ford CEO Jim Hackett said that the first jointly developed vehicles could hit the market as early as 2022 and that the linkup would offer efficiencies that would mean stronger profits starting in 2023. 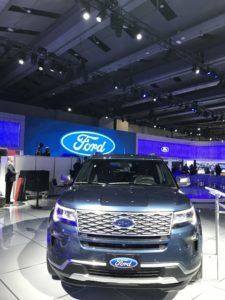 Ford Motor Co., based in Dearborn, Mich., would make the medium-sized pickups, one of its strengths, as well as larger vans. Volkswagen would develop and build a small van for crowded cities. Co-operation on development lets carmakers spread their costs over more vehicles, lowering their costs per vehicle. The Ford Edge on display at the Canadian International AutoShow in February 2018.